At a first glance a call center has a very simple structure. Customers are calling and call center operators are answering calls. So simple! But in reality a call center is a complex organization with a number of factors that influence performance of the entire company. “What depends on call center performance?” you might ask. Well, the answer is quite clear. With an inefficient call center you will probably earn less money or even suffer losses. Have you ever called a call center? Perhaps you have. Have you ever had a negative experience in dealing with call center operators? If you haven’t then you are lucky. There can be nothing worse than hearing “We understand your problems and let’s try to find solutions” while no solutions are available. After 5 minutes of a futile conversation, angry caller eventually hangs up with the decision never to deal with this company every again. Loss of existing or potential customers is loss of money. So, in order to make sure your call center works in an effective and efficient way you need to regularly evaluate its performance. 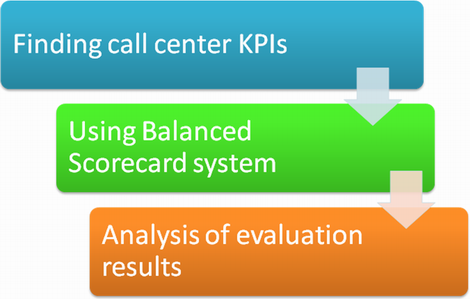 Balanced Scorecard is the best tool to perform business evaluation. 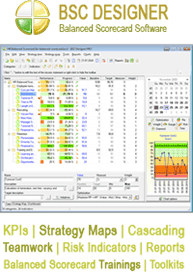 This is specifically designed software that measures certain key performance indicators, i.e. values that fully represent company’s performance. Key performance indicators are different in different business types. It is also very important to pick the right indicators having true representative value. Call center managers need to pay attention to several KPIs (key performance indicators), depending on goals and tasks of call center operators. Let’s review performance evaluation of a sales call center and a customer support service. Sales call center. There are two major goals – selling products/services and keeping customer satisfied. 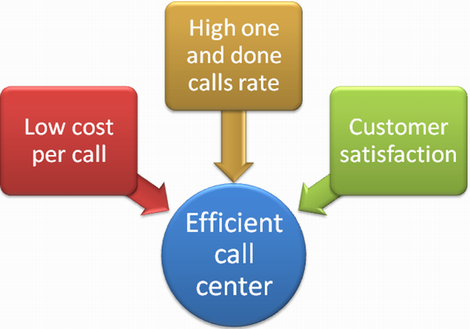 Call center operators should focus on revenue per successful call and customer satisfaction. The more money a call center earns the better business performance it has. Of course, such KPIs as time on hold and abandoned calls rate, are very important as well. If we are talking about customer support services, operators of such a call center need to provide callers with support and assistance. In other words, they answer questions and look for solutions to existing problems. Tech support operators pay a special attention to one and done calls rate, blockage, time on hold, communication etiquette (especially with angry callers) and customer satisfaction. Use of Balanced Scorecard system is recommended to call center managers and strategic planners who want to expand and further develop call centers.